This Spring, I found 37 caches in 3 states and DC. 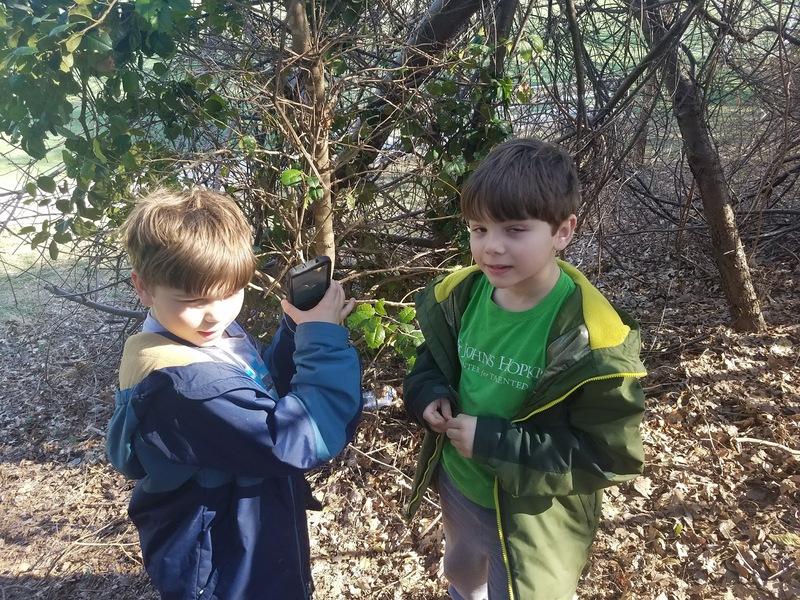 As Spring began in late March, Geocaching started a promotion where you could earn points depending on what sorts of geocaches you found, and once you earned a certain number of points, you would get planet-themed souvenirs. So I started out by finding a geocache and earning my 41st souvenir. The next day, I was in the Crofton area and I was first-to-find on a cache there. First, I failed to find it, and then left a message about the description (which indicated it wasn't at the actual coordinates -- which is a no-no). 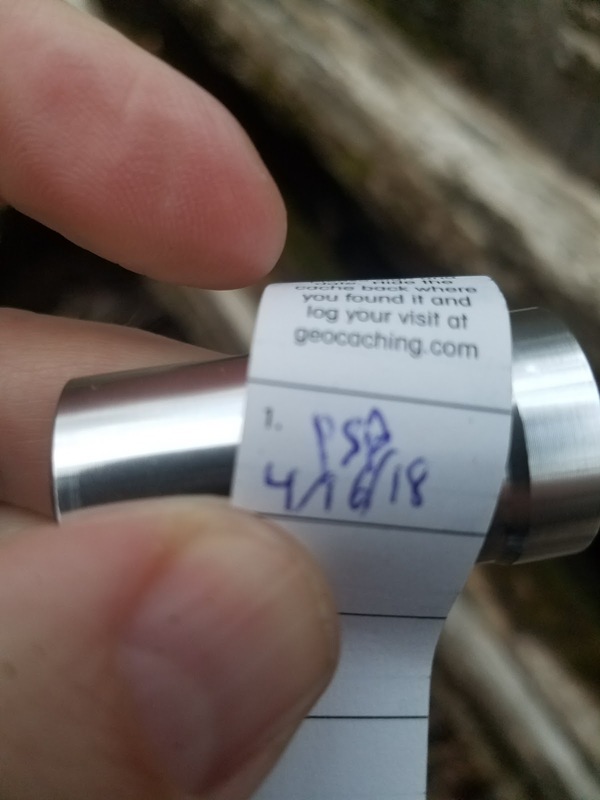 The cache owner left me a hint and changed the difficulty/terrain rating to 4/1, so I got my 15th FTF, my first in Anne Arundel County, my 32nd difficulty/terrain combo...and my 42nd souvenir. After those two in Maryland, I found one in DC and one in Virginia to snag my 43rd souvenir. The day after that, I found a couple with the kids for my 169th month (January 2018) and my 44th souvenir. 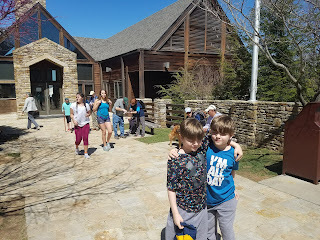 A few days later, we were in North Carolina and found my first in Forsyth County (67th county), and my first from March 2013 (170th month). After another in Forsyth County, we found a virtual in Stokes County (68th county) that earned me my 45th souvenir. That capped off a March with 27 counties found, the most I have ever done. 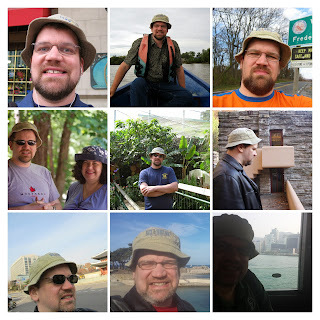 I found another on our way out of North Carolina, then a few more in Maryland and Virginia, including one from September 2017 (Month 171). The "Planetary Pursuit" promotion was extended, allowing me to nab one last souvenir (#46). Also in April, I nabbed another FTF (Number 17), which was Month 172. That got me all of the months from February 2015 forward. The period ending April 20th represented the fastest I had found 100 caches (210 days). That should not be too hard to break, but I have never put together more than 3 months in a row with 10 or more caches. 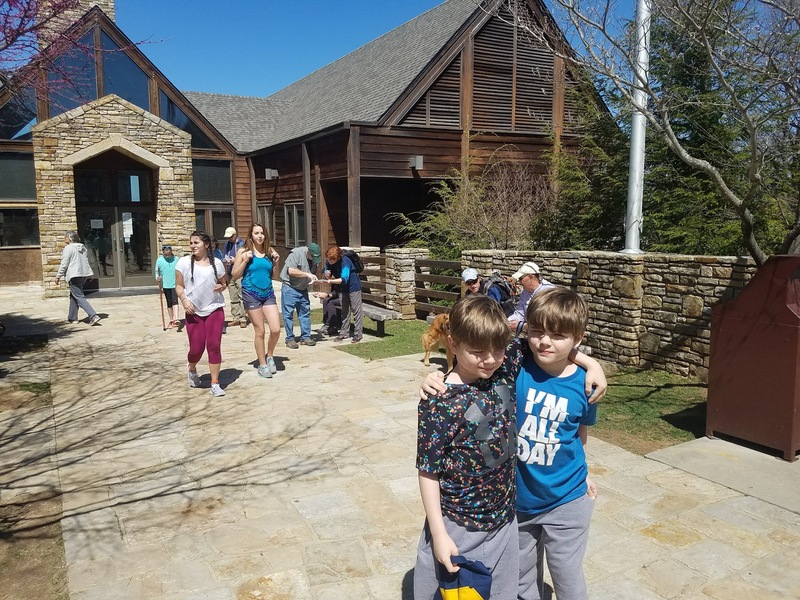 In May, a trip to the Williamsburg area got me James City County (County 69) and York County (County 70), but frustratingly, not Williamsburg itself. 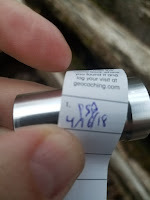 In late May, I finally found a challenge cache that required me to find caches 100 degrees of longitude apart (I have 179). 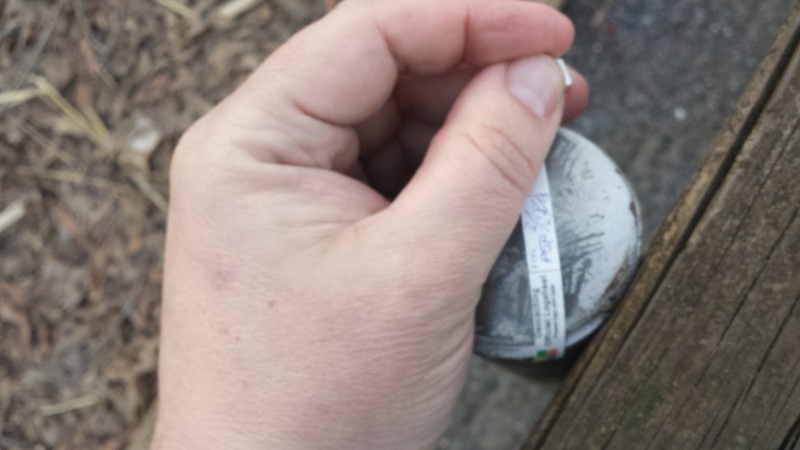 It was a tiny cache in the woods; I gave up on finding a similar one nearby. Anyway, that was D/T combination #33. Later that day, I was FTF on my 17th cache, which also marked four consecutive months with an FTF (doesn't look like I'll make it 5) and Month 174. 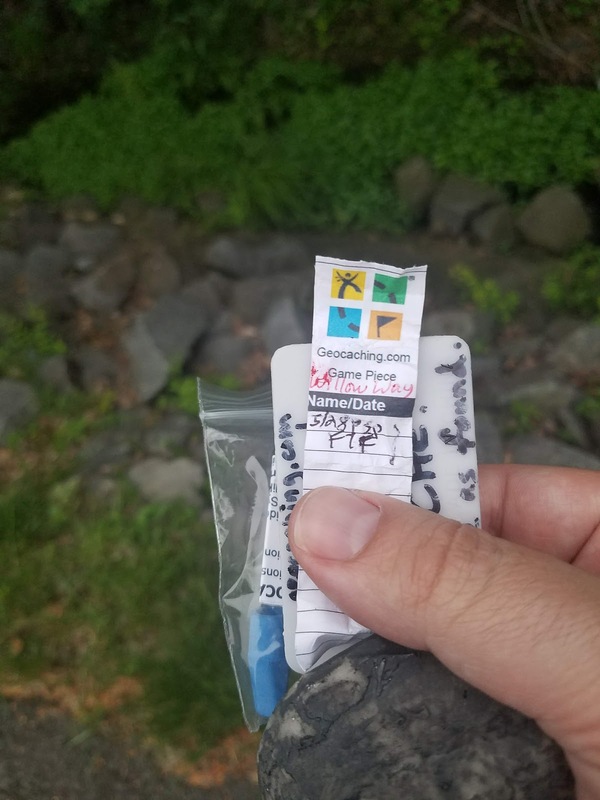 After all that excitement, I found just one more cache before the solstice -- I had messed up the hours of a business, and needed to kill some time. Still that brings me to 375 caches total. It took me almost 9 years to hit 100, so finding 275 more in a little over two years definitely feels like a lot. The draws have been made for the first two qualifying rounds of the Champions League and the Europa League, so it's time to examine Scotland's path. I consider the 2 point zone around Scotland to be their "neighborhood" and cut the charts from Bert Kassies' site to show that competition. Cyprus zoomed from 26th to 19th last year, so that kind of jump is not unprecedented. As the second-place Scottish Premiership finisher, Aberdeen is spared first-round Europa League entry this year. On the other hand, the shuffle that put more teams from the big leagues into the group stages of the Champions League means Celtic faces first-round matches this year. So three teams with a potential for 1.5 points. Romania and Belarus field only one and two teams respectively this round, because of their previous higher rankings. Azerbaijan, Serbia, Kazakhstan and Bulgaria all field four, however. Fourth-place finisher Hibs faces Runavik from the Faroe Islands. As I did last year, I will be using Clubelo.com to preview the matches. Runavik has an Elo of 897, while Hibs show up at 1296. A 399-point difference is massive, and should make Hibs the overwhelming favorites. Third-place Rangers faces Shkupi of Macedonia. I don't have an Elo for Shkupi, but Rangers' is 1341, which is close to the top teams in the Macedonian league. Rangers should be favored, but it won't be a runaway. In the Champions League, Celtic (Elo 1510) is up against Alashkert (Elo 995) of Armenia. This is a massive mismatch. I'll expect 1.25 points, and all three teams to advance. As usual, the second-round draw happens at the same time, so let's see what lays in wait. Should Hibs advance, they face Asteras Tripolis (Elo 1424), so they will have a tough path. If Rangers goes on, they face the winner of Petrocub and Osijek (Elo 1438) -- so they will probably be underdogs to Osijek. Aberdeen (Elo 1373) faces Burnley (Elo 1684), an unfair task for Derek McInnes' side. Celtic would be up against the winner of Rosenborg (Elo 1494) and Valur (Elo 1161). By the Elo and their narrow win last year, Celtic should be only slight favorites. It will be a tough second round, but they will have to make it there first. I'll expect 1.25 points, and only Celtic to advance. It's really a rough draw. Seven years ago, when moving to Bowie, I started the Bowie Restaurant Project, with the goal of reviewing all the restaurants in Bowie. I got within two restaurants of finishing, then we moved, new restaurants opened, and I'm somewhat behind. I still work in Bowie, so I still do occasional reviews, but I am abandoning my quest for completeness there. Now we live in Herndon, and I'm eager to start reviewing restaurants there. Let me review key similarities and highlight key differences between the two projects. The Town of Herndon has a restaurant guide I used as a starting point. I am eliminating places that don't have dine-in options. I am eliminating places that don't serve meals (for example, dessert-only locations). I am not trying to be complete! Part of the motivation for the Bowie Restaurant Project was living and working there. I will have less chance to dine in Herndon. Also, Herndon dining is more expensive. I will review restaurants when I feel like it, rather than requiring a certain number and type of visits. If I had been a teensy bit more relaxed about this, I would have actually finished the Bowie Restaurant Project. Although I think the difference between Herndon town limits and Herndon mailing address is meaningful, we are moving out of those town limits, so I will, at least, consider anything in ZIP codes 20170 and 20171 to be Herndon for the purposes of this project.